Getting an interview with pro-freedom leader Syed Ali Geelani has been made next to impossible. Geelani has been under house arrest for several years. He is barred even from offering prayers outside his home. The only time he is allowed out is when he usually goes to Delhi in winter months because of health reasons. This winter, despite severe cold and failing health, Geelani chose to stay back in Kashmir apparently to ward off criticism that he abandoned the people at a crucial time. Over the past decade, Geelani has emerged as the face of Kashmir’s freedom movement. For the State, he is the most important voice in the resistance camp. For his supporters, he is the man who can deliver despite the criticism he has come under for his handling of the July 2016 uprising. In recent months, Geelani’s house has virtually been turned into a jail. The State has blocked access of journalists and others to the 90-year-old leader. Geelani is reported to be in bad shape because of several ailments and old age. We tried to get a face-to-face interview, but after months of trying failed as access to Geelani was denied. We wanted to get Geelani’s point of view on a host of issues and grill him on matters that, he as a leader, must take responsibility for and should be held to account for. That didn’t happen though. We had to settle for a deferred mode of interview where we couldn’t cross question him. Here are the replies Syed Ali Geelani gave to our questions which we forwarded to him. Q What is your assessment of the current situation? Current situation in Kashmir is not only disturbing but alarming as well. Repressive machinations of the occupying forces seem to have no let-up. Q You have been at the forefront of the protest programmes after Burhan’s death. What do you think you have achieved out of these protests? Achievements are not weighed or measured. The sentiments and the aspirations echoed throughout the length and breadth of the vale. It may not of value for some but for freedom loving people these seeds of emotions grow into the fruitful plants, to be harvested in the times to come. 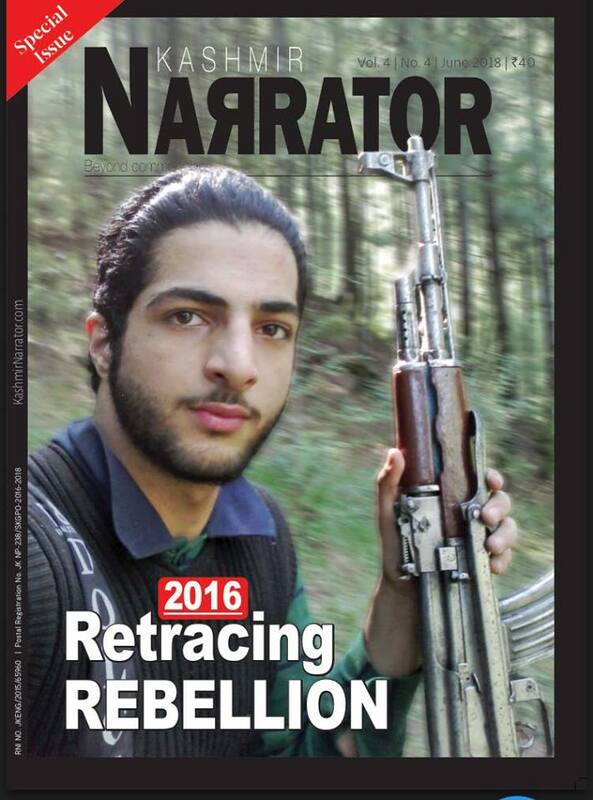 Q “Kashmiris have never come so close to azadi as now.” That is what you said during 2016 uprising. But today Kashmiris are as far away from it as they have always been and the State has almost completely crushed the uprising. So was it your wrong assessment of the situation? “Closeness” is in respect of the goal and its path to be traversed. Freedom of nations is a long walk. Determination and the resilience of people favoured with geopolitical scenarios help to achieve these goals. Q On the ground nothing has changed in favour of Kashmir or the freedom movement. So haven’t these protests been a failure? And that’s something many analysts are saying. Everybody is free to analyse the situation in his or her own perspective. Protests are to press for the demands. When the oppressor and its stooges are deaf and dumb to real issues, it means that they need a harder and more sustained push to make them understand. Q You have yourself acknowledged this failure by scaling down the shutdowns from entire week to two days a week and now just one day a week, haven’t you? How does scaling down the protest calendar mean failure? Q What lead to this change in your strategy? Different situations demand different responses. After five months of continuous protests, the scaling down was due. Q There is a definite fatigue among the common masses with regard to your protest calendars. They not even are responding to your call against the WPR’s domicile certificate issue or the SARFAESI act. What does it tell about the mood of the people? Protests against domicile issue or SARFAESI are not for any hobby or entertainment. Every sane person knows its long-term repercussions and we need to fight such designs collectively on each and every front. If you think people are not responding, we as a nation will have to repent in future. Q How many times did the government try to engage with you in the recent months? I have been under house arrest since 2010 and whosoever is allowed to meet me comes in broad-day-light and everybody knows it. QYou shut the doors on the official all-party parliamentary delegation while you met with the unofficial delegation led by Yashwant Sinha. Isn’t this a contradiction in your approach? They (all-party delegation) themselves categorically announced that they were not going to meet people like us. But a couple of members of the delegation dropped here to meet with us. It was to give an impression that we are negotiating and to dispel that misconception we didn’t meet them. Q You along with Mirwaiz and Yasin Malik have now been talking about a new long-term strategy of resistance. Tell us what that strategy will be like? Long-term strategy when decided and finalised will be conveyed to media and you too will come to know. Q How does Geelani Sahab look at himself and his politics right from the time you were an MLA under the Indian constitution to being a leading resistance leader against that very system? My days in J&K legislative assembly and its record stand testimony to the fact that what I aspire outside, I stood for the same inside the assembly as well. Contesting elections was a unanimous decision taken by my organisation (Jamaat-e-Islami) and anybody has a right to oppose it, but you can never site any example or occasion when we have legitimised or legalised Indian occupation. Q What is your vision of a free Kashmir? Our stand is clear: ask the people through a peaceful and democratic referendum and the decision of the people needs to be respected. In case we have to choose between Indian occupation and free Kashmir, we are more than happy to opt for free Kashmir rather than remaining with India. Q How important is Pakistan and that country’s support for Kashmir in the context of Pakistan’s own priorities and problems where it may want to set Kashmir aside for its own interests? Pakistan has its own domestic issues, and as a sovereign country, it has a right to prioritise the issues in its own interest. Resolution of Kashmir is definitely in its interest as well and it cannot shy away from it. Q That happened during the Musharaf era when Pakistan was ready to make a compromise on Kashmir and even dropped the UN resolutions that call for a referendum? Even that move from Gen Musharaf was not responded by India. Q Pakistan’s diplomacy has been very weak with regard to the Kashmir issue. What are the things you would want Pakistan to do for a better projection of the Kashmir issue? They need to activate their diplomatic channels to present the ground realities to the world. Q The Uri attack in August 2016 on an army base, which India blames on Pakistan, took the entire focus away from Kashmir which was witnessing an unprecedented uprising at that time. Do you think it was a mistake on part of the militants or those behind them to launch such a strike at that time? We don’t know who did it. Blame games are there for the last 70 years and such incidents hardly get uncovered. Q What is your stand on armed militancy in the context of the resistance movement of Kashmir? We are pursuing the path of freedom in a peaceful and non-violent manner and when the rulers shrink and squeeze the space for such activities, it automatically creates a space for other alternatives. Q What about these groups like Jaish or Lashkar that are purely Pakistan-based and reportedly follow the agenda of Pakistan’s security establishment? Better ask this question to the concerned quarters. Q You have been under house arrest since 2010. Even journalists are barred from meeting you. Why do you think the State is so harsh on you? The State itself can be in a better position to answer this question as to why they put curbs on my activities. Q Some people say the Hurriyat may make compromises on its basic stand on Kashmir after you. Do you too have such apprehensions? Time is the best judge and if anything like that happens everybody will know it. Q You are physically weak and also in old age, but you don’t want to pass on the mantle of leadership to someone else. Why so? There is a proper system of choosing a leader in the organisation as well as the forum and it will be done accordingly. Q How do you see the trajectory of this movement in the next 10 or 15 years keeping all the political and geopolitical realities in mind? We have to keep the flame of our freedom alight with our sincerity, honesty, determination and unity. Geopolitical realities go on changing and the resolve and a resilience of people paves its way through every thick and thin. Q How do you see the Indian state dealing with Kashmir as most people say that they are openly following a Hindutava agenda? Whether shielded behind the deceitful veil of secularism or brazenly open, for us, they are two faces of the same coin. Death and destruction, through their military might is the only response they have to offer us. They all have done it in the past, they are doing it now and they will continue to do same in future. Q How do you see Indo-Pak relations shaping up in the coming years? Indo-Pak relations are always turbulent. Only the degree of turbulence keeps on changing from low to high and vice versa. The trust deficit between the two neighbouring countries is running so deep that sometimes even wise proposals are rebounded. The main reason for both of them to be at loggerheads is Kashmir. If this gets resolved, I am sure, other trivial issues will in no way remain in focus. Q How do you look at the politics of Mehbooba Mufti? I think past six months are more than enough for every Kashmiri to get to know Ms Mehbooba Mufti, both as a human being and as a politician, as all her deceptive appearance has been pulled down which decimated all her false covers. She is a camouflage for the BJP. Q Do you feel the PDP is better or worse than the NC and in what way? Genetically, stooges, collaborators, yes-men and political vultures all belong to the same species. Names and slogans may be different but the deceit and deception is so common that it looks they all are trained in the same school by the same masters. Q How do you want people to remember you and what is the legacy you are leaving? People are free to remember me the way they want. I never claim to be a perfectionist or without flaws or weaknesses. I am a human being and bound to commit mistakes and I welcome if anybody points to them. I am a firm believer that we in no way are safe with India. Our culture, economy, faith, dignity, honour and even our existence all are at stake. So to safeguard them, we have no other way than to get rid of this forceful and unjust occupation. The handles of the cleavers of this occupation are some people amongst us. Pro-Indian politicians, bureaucrats and their aides, all need to be conveyed and convinced to refrain from playing the role of collaborators. Our new generation is mature enough to get to the root cause of our miseries and they are well equipped to address it. This firm belief, uncompromising realistic mindset and unflinching faith in God and hereafter is what I aspire my nation to follow. I am sure that there will be highest regard and tribute for me as I believe that India will have to vacate our land and it is only the time factor which matters. Our weaknesses prolong our miseries and they need to be addressed collectively.